Magnificent custom home designed by Craig Bush and built by Thomas Sattler Homes with uninterrupted views of Ward Reservoir and the mountains. 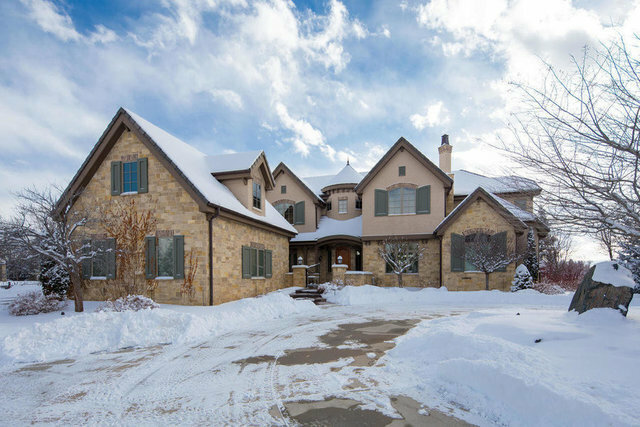 Elegantly designed and meticulously maintained, this incredible home features walnut floors, radiant in-floor heating throughout, and beautiful woodwork. The home sits perfectly on its acre lot to maximize the southern exposure, as well as lake and mountain views. The open floor plan seamlessly connects the interior to the outdoor living spaces, making this a perfect home for entertaining! A chefs kitchen, wine cellar and open-concept dining and living rooms, plus a stunning master suite with its spa-like bath complete the main floor. The upper level features three ensuite bedrooms, a true entertaining room with theater, bar and pool table, as well as an additional bedroom/flex space and workout area. Enjoy outdoor living at its finest with breathtaking views and extensive entertaining spaces!